I love the idea of making a wood journal! Not just because you can make it in 30 minutes, but because the homemade DIY journals make really cute gifts. 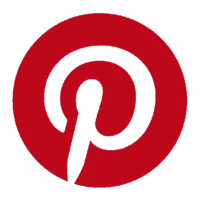 You can stencil them, paint them, stain them, and even decoupage fabric on them! 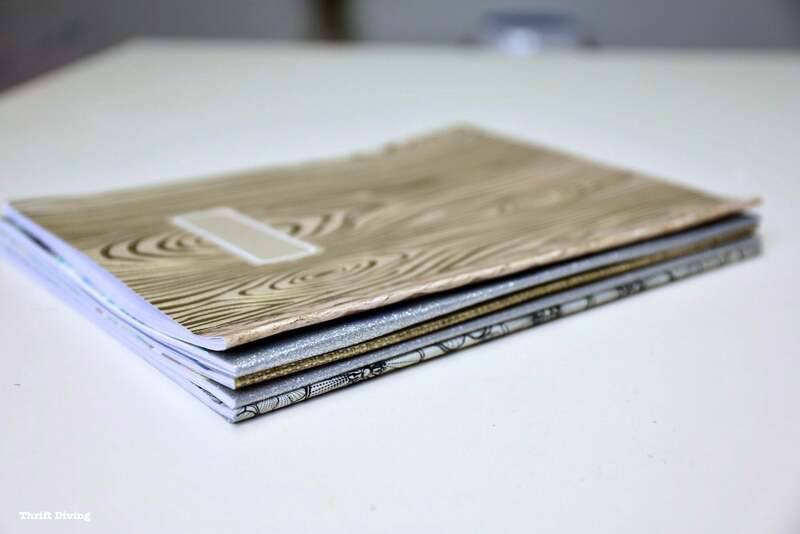 Just stuff them with any kind of pages for a one-of-a-kind DIY wood journal! But don’t stop there: think about photo albums…agenda books… and much more! So this is reeeeeaaaally simple. 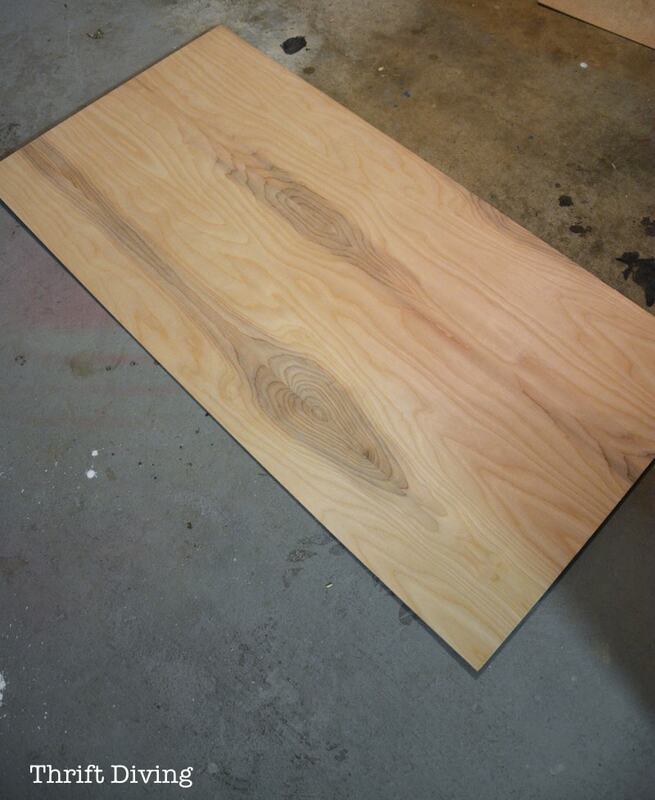 1/4″ birch plywood. Get the full sheet for $12. 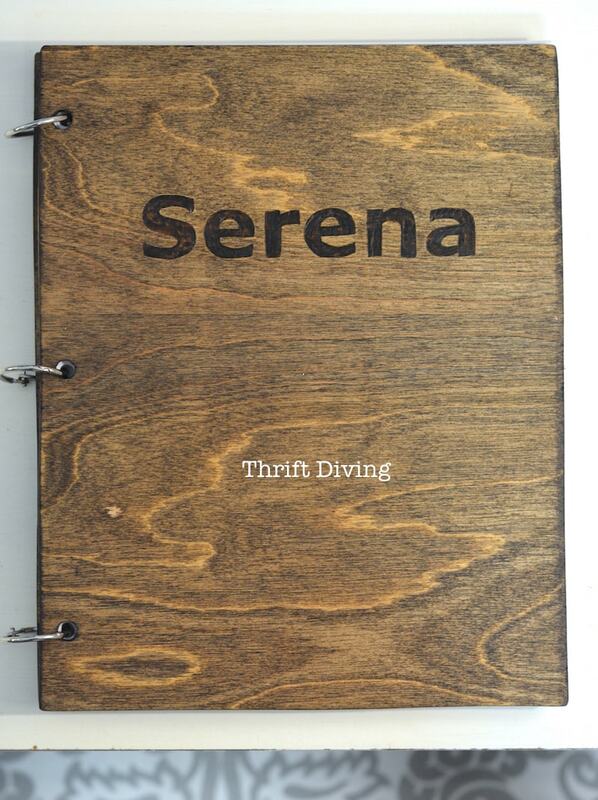 It’s 4’x8′ in size, and you can make probably at least 8 or more journals!! But First…..Do You Know How to Use a Jigsaw? 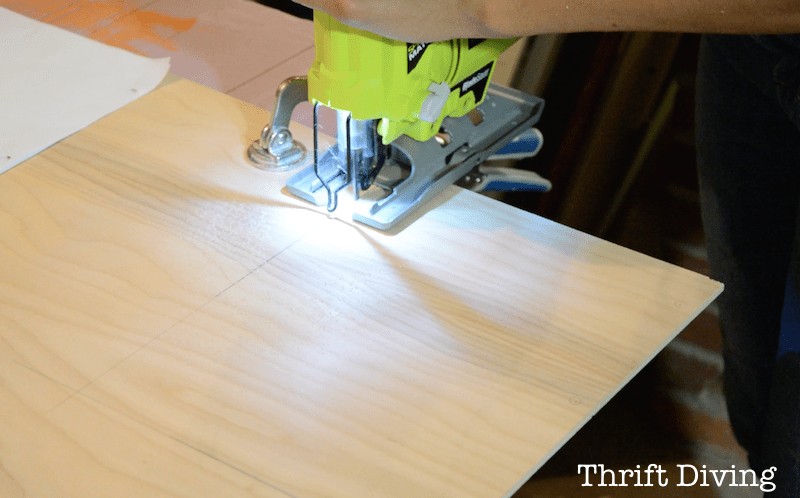 For this tutorial, you’ll need to pull out some power tools, my friend, but if you’ve never used power tools, it’s not hard to learn! 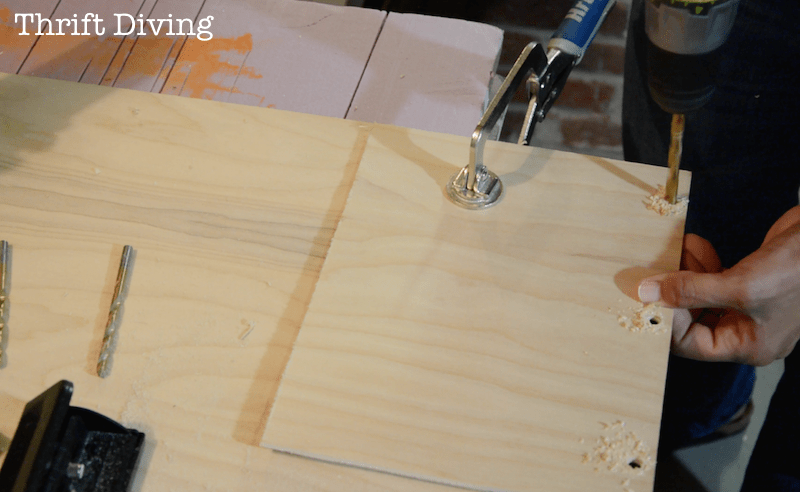 Just check out this power tools tutorial I did on how to use a jigsaw. If you’d rather make these journals without power tools, click here to read How to Make DIY Journals Out of Scrapbook Paper. If you’ve got experience with power tools, then proceed, my friend! Now let’s get to the good part!! I’m soooo lovin’ this! 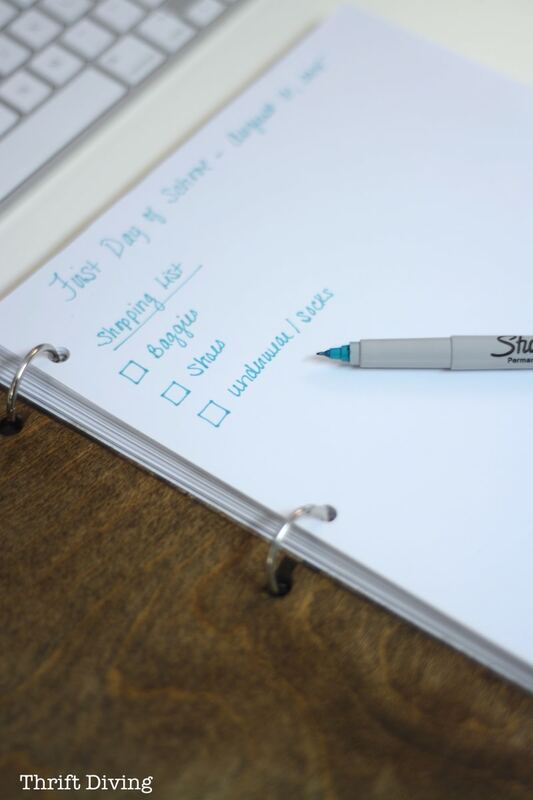 It will last for years and you can fill it with whatever you want–photos, To-Do lists, scrapbooks, and more! Even better, make them for gifts! 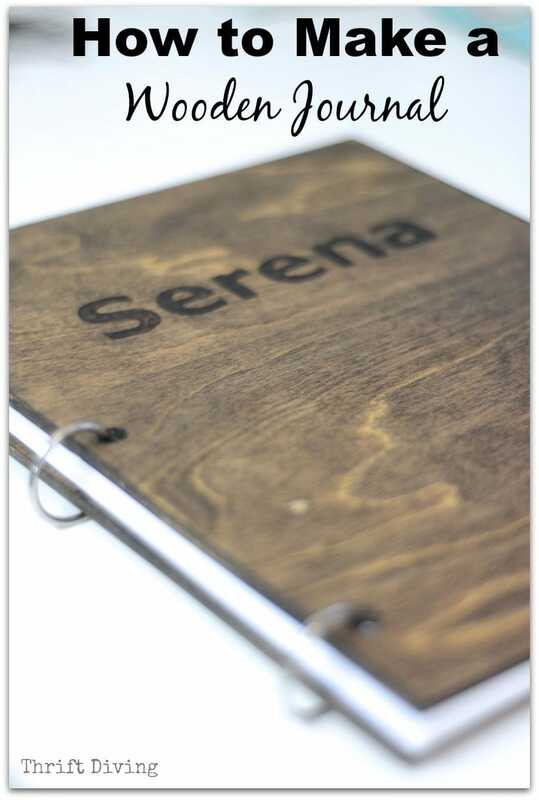 (BONUS GIFT): Enter your name and email and download my Room Makeover Journal packet to put inside of your DIY wooden journal! 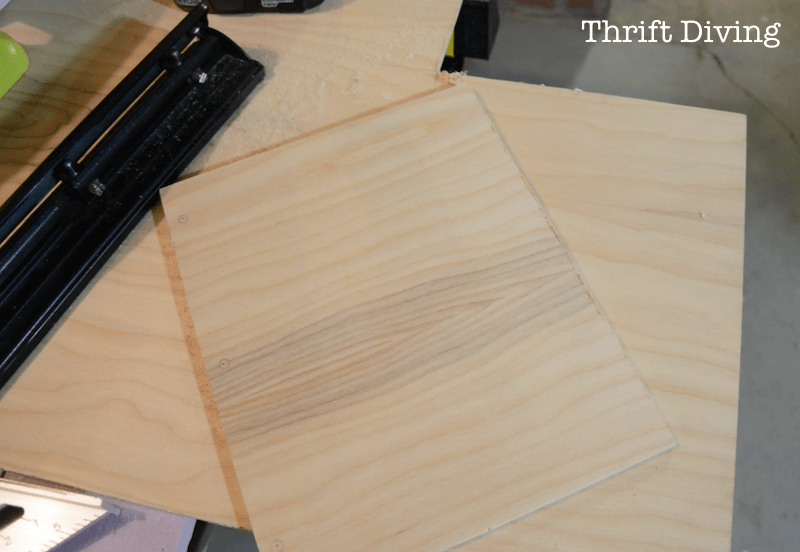 STEP 1: Grab Your Birch Plywood. It cost about $12 at Home Depot. Get the 1/4″ thickness. 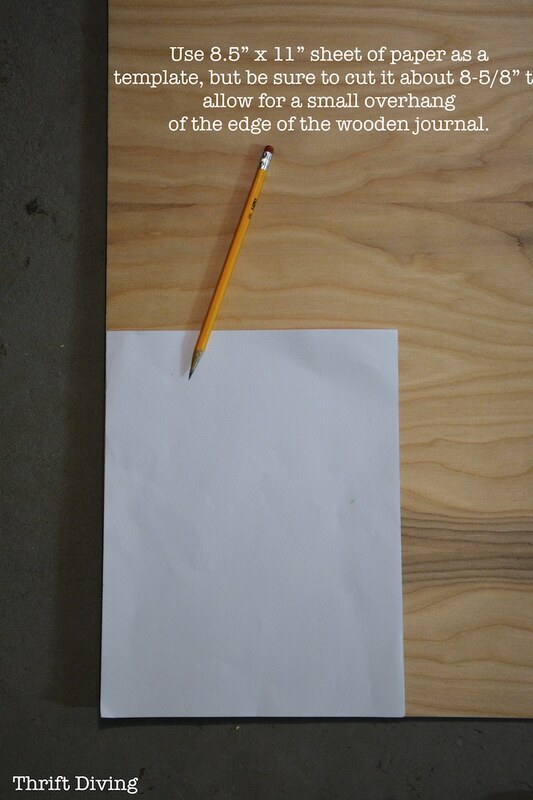 STEP 2: Measure using computer paper or notebook paper as a template! The reason I had to make it a little bigger than the 8.5″ paper is that when you put your journal together, you’ll need a little bit of an overhang for a finished look. STEP 3: Cut, baby, cut! Cut two pieces out. They’ll measure 8-5/8″ x 11″. Basically, the size of a piece of paper plus 1/4″ extra. 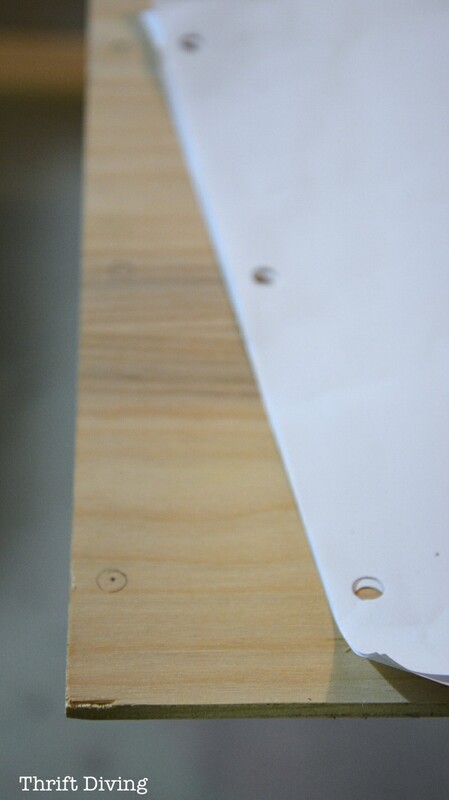 STEP 4: Make holes in a sheet of paper, then drill. 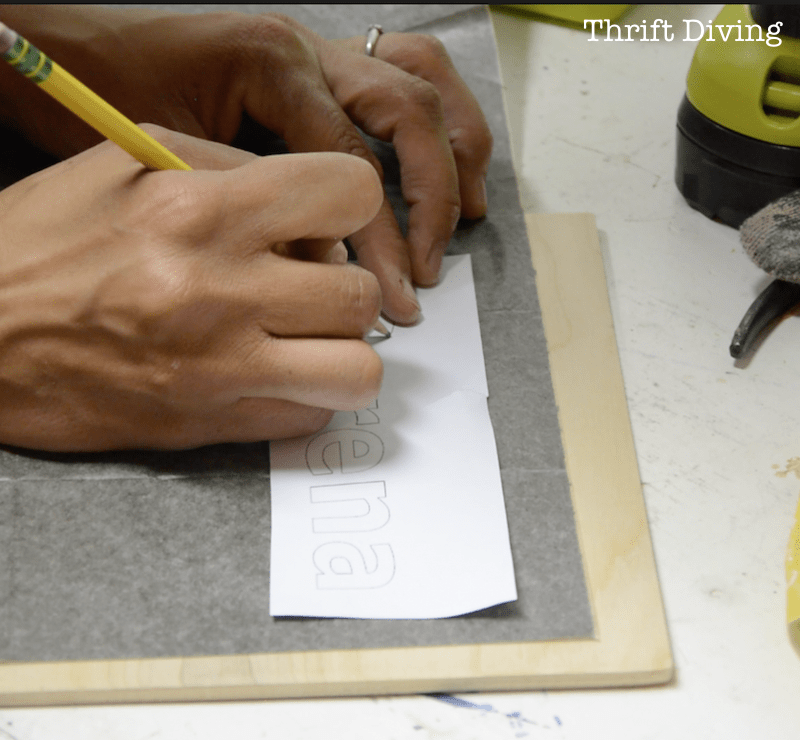 Use your 3-prong hole puncher to make a template for where the holes will go on your board. 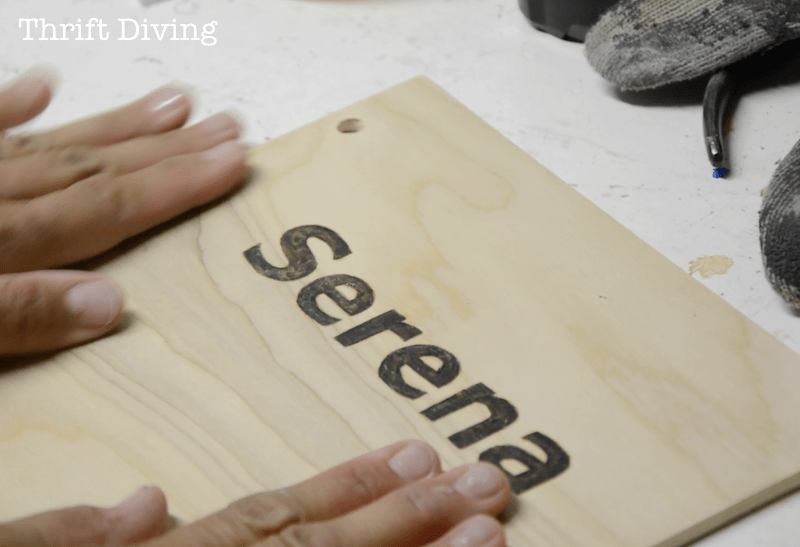 Use your power drill and a 5/16″ drill bit to drill the holes. STEP 5: Sand everything smooth with 220 grit fine sandpaper. 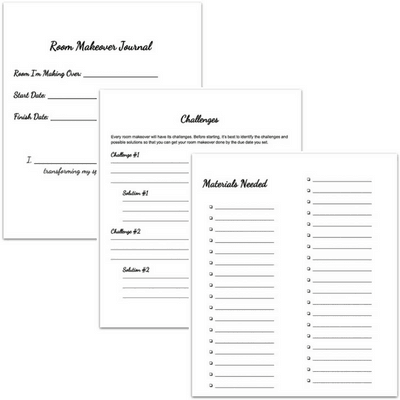 STEP 6: Print out design or name, transfer to front board of the journal. Just use your printer. I used this site to create a printed name for myself. STEP 7: Use the wood burner. OOooohhh…I think I have discovered a new passion: burning wood!! This set comes with several tips. It’s fun, actually! Reminds me of the smell of roasting marshmallows. HAHA. 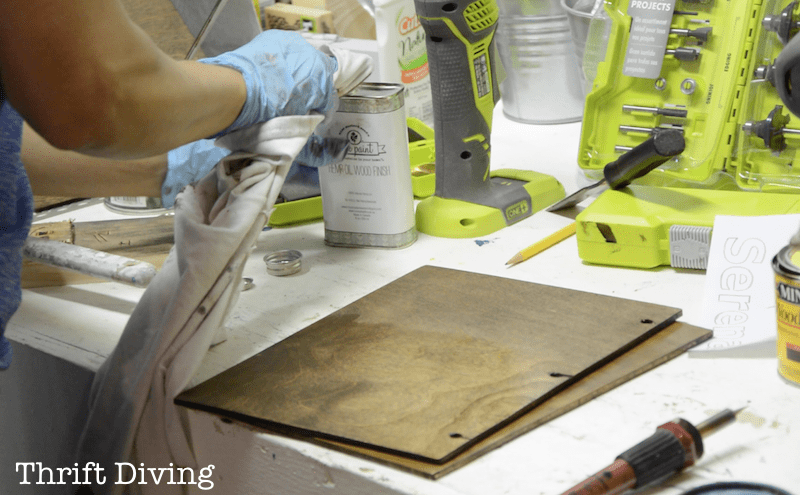 STEP 8: Stain your wood journal. 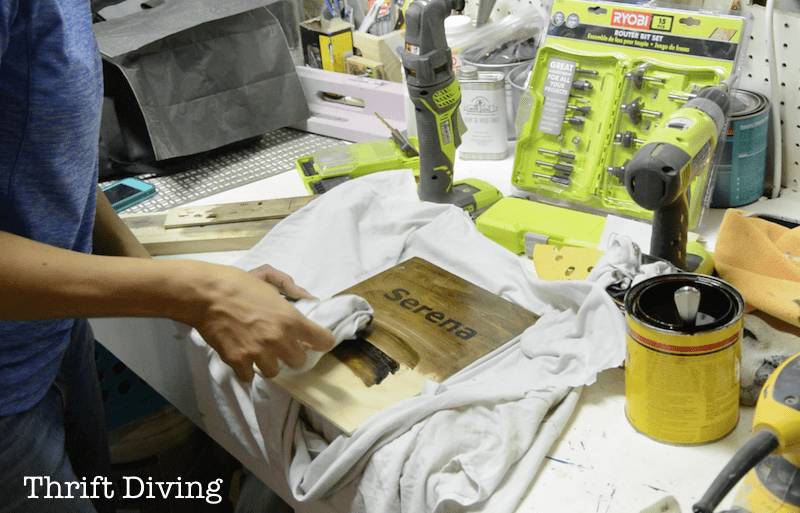 Step 10: Wipe down the DIY wooden journal with hemp oil or polyurethane. STEP 11: Add metal rings and paper! Now you are DONE, honey! WOO HOO! Can I just say that I love this??! What if you don’t have power tools? Then you can make these easy DIY journal notebook out of scrapbook paper, which would take you (literally) 10 minutes to make. Here are some ideas for how you can use your DIY journal or DIY notebook! 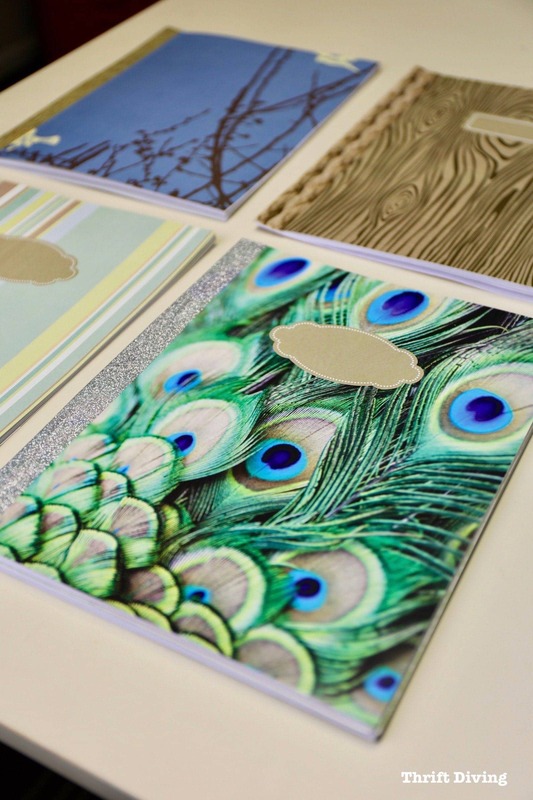 Click here to learn how to cover ugly binders with pretty paper! This is so cool and I love my jigsaw! Love it! What sized rings did you use? What a great idea and way to feed my pyrography habit!! So perfect for gifts!! If I may offer a transfer tip that I use 90% of the time now…I flip the image and print on wax paper…carefully apply to your project and press…the ink will transfer perfectly! (especially on smooth wood like this!) If you goof, it will sand off! Thanks again…this is a keeper project for sure! Yes! Easy Peasy! I cut the waxed paper a touch smaller than 8.5 x 11 so it doesn’t jam in my printer. Alternatively, the waxy backing sheets from (used) label pages? Save those suckers to print n transfer! Just don’t forget to flip your image or your transfer will be backwards. Okay, I must try this! I think one of my blogger friends did something similar but I didn’t pay much attention to it until you mentioned it. I will try it! 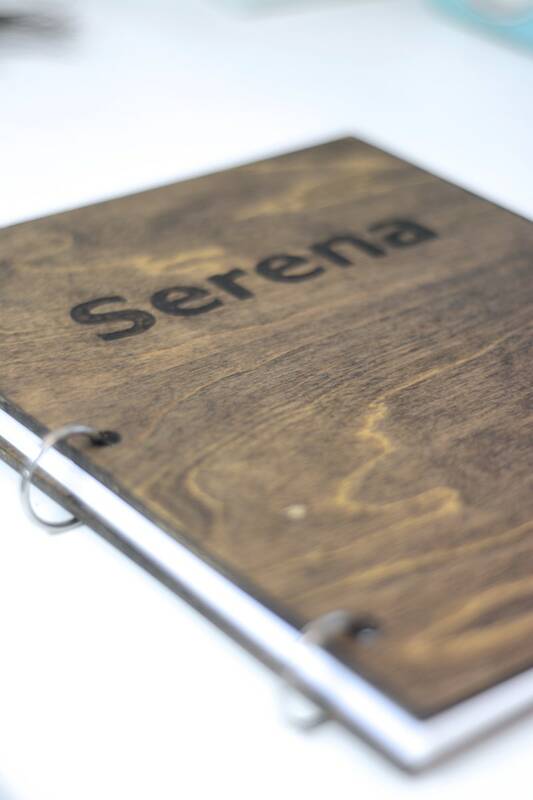 I am going to be hosting crafting classes for people to decorate their own wooden journals. This would be a great option for class! 🙂 Thanks, Lanie!! hi! I love this diy but i don’t know how the rings are called. Hey there, Letizia! Here is my affiliate link to them on Amazon. They’re book rings: http://amzn.to/1T7TBQK. I think this is my favorite! This makes a great gift, now I need to get busy and make a few!